Health insurance is an arrangement with an insurance company that can help protect you from the high costs of health care. At its most basic, you pay premiums and the insurance company agrees to pay part of your medical expenses for illnesses or injuries, prescription drugs and preventive care. Health insurance works by spreading the cost of care among large groups of people—so insurance paid by one person helps pay for the care of others. In a large enough group, most people are healthy and use few health services in a given year. A minority of individuals account for the majority of health care spending for the group. Because it is likely that every person will, at some point, get sick, be injured or even become disabled, sharing this risk is a critical part of insurance. In addition to spreading financial risk, health insurance has another important function: improving access to health care services. Currently, the most common way to obtain insurance is through packages offered by employers. This method is called group health insurance. Your advisor at Texas Associates Insurors can help guide you in structuring a benefits portfolio that will satisfy your employees and aid at the retention and attraction of those key employees. 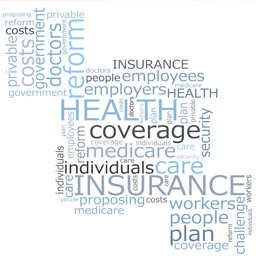 TAI can also assist in analyzing the impact of PPACA on your business and its employees.